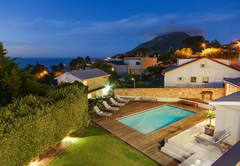 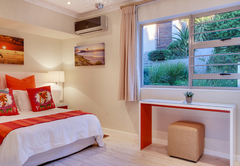 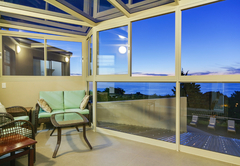 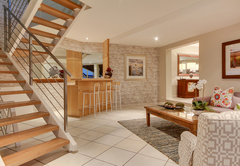 Amber Place is a property providing self catering in Bakoven for up to 16 guests visiting the Atlantic Seaboard region. 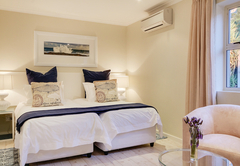 Situated in beautiful Camps Bay, Amber Place offers accommodation in a large self catering villa that can sleep up to 16 guests. 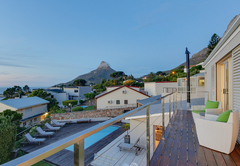 The villa is just 10 minutes drive from Cape Town Central and the V&A Waterfront. 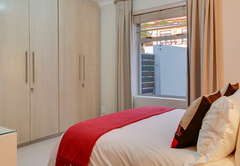 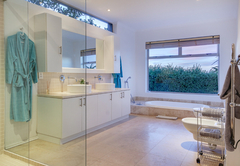 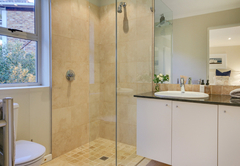 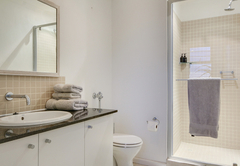 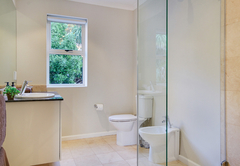 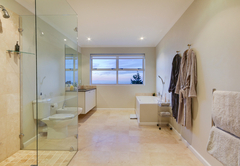 The self catering villa has eight bedrooms, all of which have an en-suite bathroom. 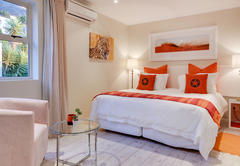 The rooms are furnished with either a King-size, double or Queen-size bed and all have air conditioning. 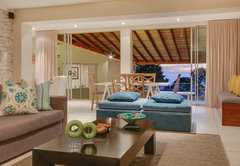 Some rooms lead onto the swimming pool and garden. 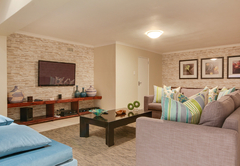 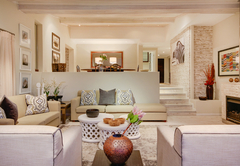 The spacious interior is styled in neutral tones with accents inspired by African nature. 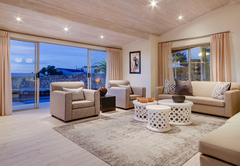 There is a spacious lounge with a gas fire place, a dining area, a TV room with a guest bathroom and shower and a cocktail bar with comfortable seating. 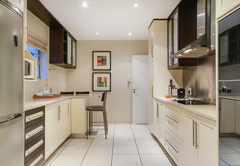 The kitchen is large and well equipped for your self-catering needs. 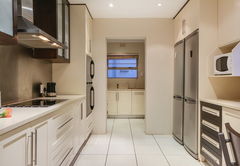 Appliances include a dishwasher, two fridges, two ovens, a washing machine and tumble dryer. 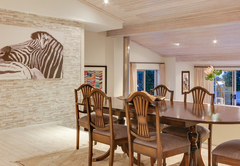 The villa has dining space for 24 guests inside and 14 outside. 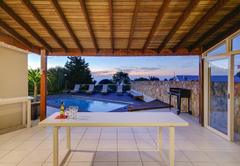 The outdoor area has a swimming pool (heated on request in winter) with a wooden deck and grassed lawn. 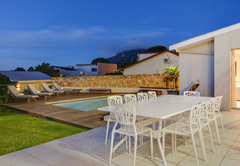 Braai facilities are provided and there is garage parking. 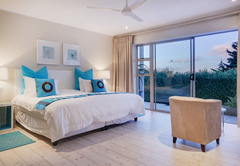 Amber Place is a large self-catering villa with 8 bedrooms all en-suite. 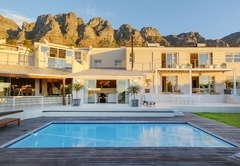 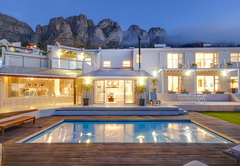 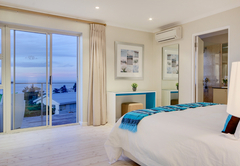 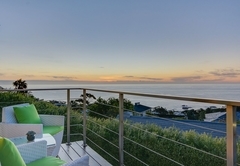 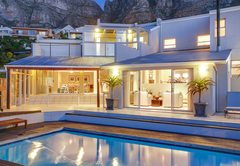 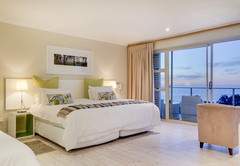 Situated in a beautiful, tranquil location overlooking the length of Camps Bay beach and the glorious majestic mountain range of the 12 Apostles. 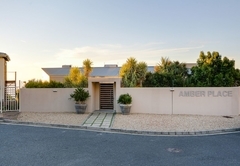 Response timeAmber Place typically responds to requests in 5-10 minutes.